The ‚blockchain‘ is currently being praised as a new miracle technology. 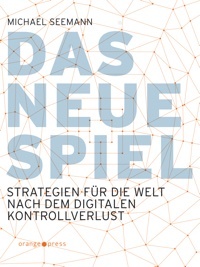 The word appears six times in the German coalition agreement for the new government – and always in the context of new and promising digital technologies. But what is behind all this? Blockchain technology was born with its first popular application: Bitcoin. Bitcoin is based on the fact that all transactions made with the digital currency are recorded in a kind of ledger. However, this ledger is not located in a central registry, but on the computers of all Bitcoin users. Everyone has an identical copy. And whenever a transaction happens, it is recorded more or less simultaneously in all these copies. It is only when most of the ledgers have written down the transaction that it is considered completed. Each transaction is cryptographically linked to the preceding transactions so that their validity is verifiable for all. For instance, if someone inserts a fake transaction in between, the calculations are no longer valid and the system raises an alarm. What we’ve got, is a storage technology that no individual can control or manipulate. Early on, even bitcoin skeptics admitted that besides the digital currency itself, it is the blockchain technology behind it that holds the real future potential. Since then, many people have been wondering where else it could be applied. The Internet has always been regarded as a particularly decentralized technology, but this holds no longer true for most services today: All of us use one search engine (Google), one social network (Facebook) and one messenger (WhatsApp). And all these services are based on centralized data storage and data processing. Blockchain technology seems to offer a way out–all services that previously operated via central databases could now be organized with a distributed ledger. The hype about blockchain is almost as old as the one around Bitcoin, so we are talking about the inevitability of this technology for like six to seven years now. Hundreds, if not thousands of start-ups have been established since then, and just as many applications of the blockchain have been claimed. As an interested observer one asks himself, why there is yet no other popular application besides cryptocurrencies (which themselves are more or less speculation bubbles without any real world application)? Why hasn’t a blockchain-based search engine threatened Google, or a blockchain-based social network Facebook? Why don’t we see a blockchain-based drive mediation app, and no accommodation agency–although these purposes have been praised so often? Why do all blockchain technologies remain in the project phase and none of them finds a market? The answer is that Blockchain is more an ideology than a technology. Ideology means, that it is backed by an idea of how society works and how it should work. One of the oldest problems in social sciences is the question of how to establish trust between strangers. Society will only exist if this problem is adequately resolved. Our modern society’s approach is to establish institutions as trustful third parties that secure interactions. Think of banks, the legal system, parties, media, etc. All these institutions bundle trust and thus secure social actions between strangers. However, these institutions gain a certain social power through their central role. This power has always caused a headache to a certain school of thinking: the Libertarians, or anarcho-capitalists. They believe that there should not be a state that interferes in people’s affairs. The market – as the sum of all individuals trading with each other – should regulate everything by its own. Accordingly, they are also very critical of institutions such as central banks that issue currencies. The basic idea behind Bitcoin is to eliminate the central banks – and indeed banks in general – from the equation. Blockchain is the libertarian utopia of a society without institutions. Instead of trusting institutions, we should have confidence in cryptography. Instead of our bank, we should trust in the unbreakability of algorithms. Instead of trusting in Uber or any other taxi app, we should trust a protocol to find us a driver. That’s why Bitcoin and blockchain technology is so popular with the American right, which has a long libertarian tradition and rejects the state as such. That’s why it is also very popular with German rights, for example with Alice Weidel from the AfD, who will now hold the keynote at a big German Bitcoin conference and is founding her own blockchain startup. Those who are opposed to the „lying media“ and the „old parties“ are also critical of all other institutions, it seems. So when you invest in Blockchain, you make a bet against trust in institutions. And that’s also the reason why this bet hasn’t been won once, yet. It’s because the ideology of anarcho capitalism is naive. Technically speaking, a blockchain can do the same things any database has long been able to do–with a tendency to less. The only feature that distinguishes blockchain here is, that no one has ever to trust a central party. But this generates also costs. It takes millions of databases instead of one. Instead of writing down a transaction once, it has to be written down millions of times. All this costs time, computing power and resources. So if we do not share the libertarian basic assumption that people should mistrust institutions, the blockchain is just the most inefficient database in the world. Dieser Beitrag wurde unter Algorithmenkritik, english, extern, Plattformpolitik, Weltkontrollverlust veröffentlicht. Setze ein Lesezeichen auf den Permalink.